The fate of the President’s executive actions on immigration now rests in the hands of eight justices on the Supreme Court, absent Justice Antonin Scalia. The Supreme Court will begin to hear oral arguments for the case, United States v. Texas on April 18th of this year, with a final ruling expected by summertime. 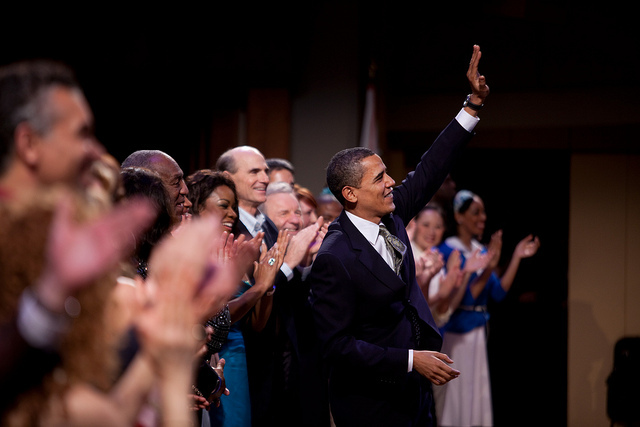 Nearly a year and a half ago, President Obama announced a series of executive actions on immigration including the expanded Deferred Action of Childhood Arrivals (DACA) program, the new Deferred Action for Parents of Americans and Lawful Permanent Residents (DAPA) program, and other measures to enhance border security, prioritize deportations, and modernize the immigration system. USCIS was expected to begin accepting applications for the expanded DACA and DAPA program on February 18th. The excitement surrounding the expanded DACA and DAPA program however was very short lived. A federal court order filed by Texas and other states on February 16th temporarily suspended these programs from going into effect. Since then, the federal government and the State of Texas have been battling one another in court. The Fifth Circuit court determined that Texas and at least 25 other states had sufficient ‘standing’ to challenge both programs from being implemented. The state of Texas along with other states, argue that these programs are not only outside the purview of the President’s constitutional power, but that the States would be substantially burdened, should the programs go into effect. Texas states that as a result of these programs, the State would suffer increased health-care, law enforcement, and educational costs which would come out of the State budget and more importantly the pockets of Texas residents, who do not take kindly to these programs. Additionally, Texas claims that it would suffer additional financial burden in having to issue more drivers’ licenses to individuals qualifying for expanded DACA and DAPA, a state-subsidized benefit. If the Supreme Court decides in favor of the federal government, nearly 5 million immigrants residing in the United States unlawfully will be shielded from deportation, and States will be forced to bear the costs to accommodate their new ‘deferred’ status. Deferred status will grant individuals the right to legally obtain employment, obtain a social security number, a driver’s license, and an education, but it is not a path to citizenship. As it stands, it is unlikely that a new Supreme Court Justice will be appointed before oral arguments begin in this case, especially with mounting political pressure from Republicans seeking to block the President from making a nomination. (4) whether the executive actions violate the Take Care Clause of the Constitution, Article II, section 3. July 6, 2016 Oral arguments on appeal expected to begin before the Fifth Circuit. For more information please continue to follow our blog for more updates.